I met LaRhonda and her mother at Lindsey Plantation in Taylors, SC, to photograph her bridal portraits on a sunny late-summer day. The only thing shining brighter than the hot September sun was LaRhonda herself. This South Carolinian-turned-Texan simply glowed! 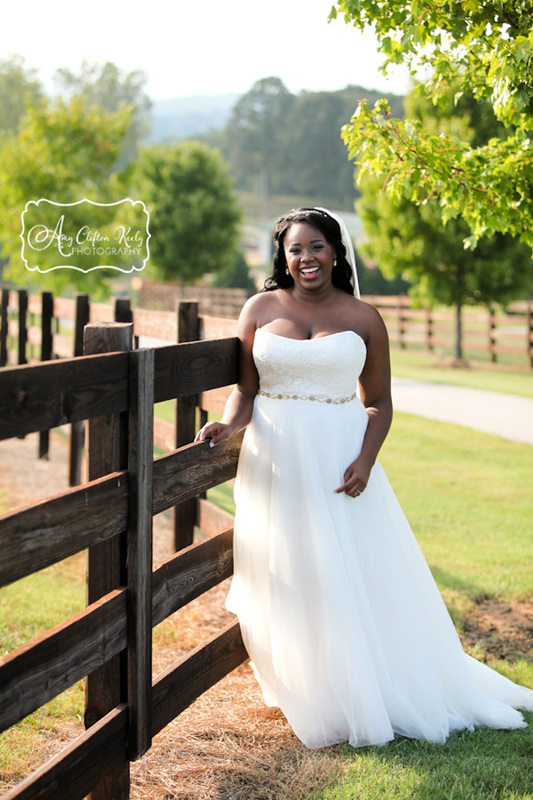 She glowed when she put on her bridal gown, and she glowed when she saw the wide-open pastures and mountain views, but her light glowed the brightest when she talked to me about her soon-to-be husband Josh. After spending the afternoon learning about these two lovebirds (their new last name is actually Sparrow…), I have no doubts that these two are the real deal when it comes to love and adventure and lots of silly fun. 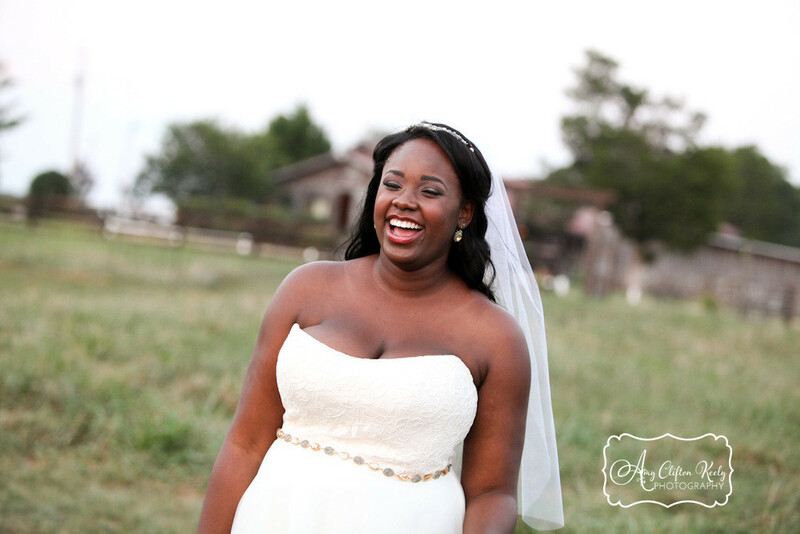 LaRhonda requested for her bridal portraits to be fairly natural and unposed, and I feel like her quirkiness, her effervescence, and her love for Josh shines through in these photos. Now that the Sparrows are officially Mr. and Mrs., I am excited to reveal these Bridal Portraits! THIS. This is LaRhonda, pretty much always! Lindsey Plantation has an amazing variety of spots for portraits, but the sun setting over the pasture can’t be beat. Heeyyyyyy! This sassy girl was so much fun. 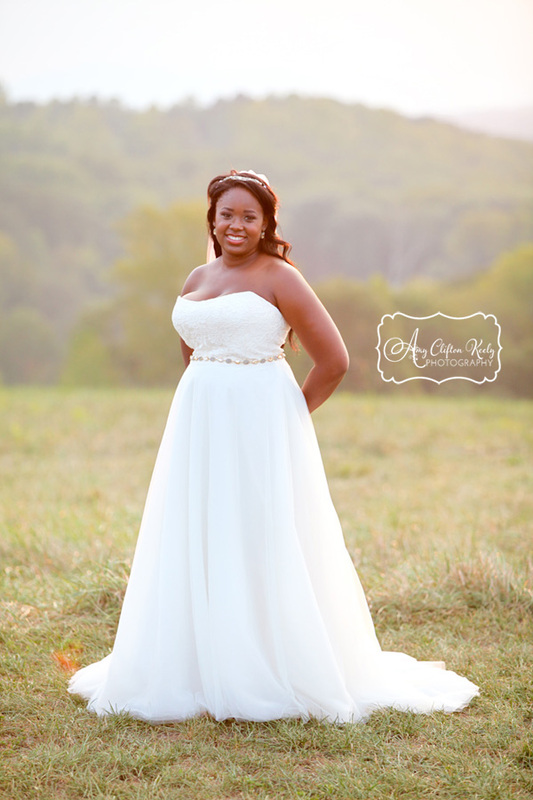 I cannot wait to begin working on her and Josh’s wedding day images. If you haven’t already “liked” Amy Clifton Keely Photography on facebook, please hit the button below so you can keep up with The Sparrows’ Sneak Peeks as I post them! LaRhonda, lady, you are incredible! I’m so happy to know you and to have played a small part in telling yours and Josh’s love story. Y’all are amazing!! Friends, I love reading your comments, and I have no doubt that LaRhonda would as well. 🙂 Feel free to show us some love with a comment! These are all stunning! I can’t wait to see the rest of our pictures Amy! I know they’re going to be just as amazing (maybe more so since I’ll be in them lol) So glad we had you there to help us remember our day forever! That’s my pretty girl! Amy, you did an amazing job on these! So glad LaRhonda chose you to be apart of her special day! ?